The libertarian icon respected tradition greatly—but only as a precondition of progress. In the final segment of the first half of this semester’s course, we focus on a relatively more contemporary (if not current) libertarian author, F.A. Hayek. While best known for his 1944 book The Road to Serfdom, we will instead be exploring a few chapters from what is arguably his most philosophically accomplished book, The Constitution of Liberty. In particular, I want to explore the interesting confluence and tension that exists in this work between Hayek as both a “traditional” and a “progressive” thinker. In stark contrast to Mill—who we discussed last week as a key figure in the articulation of libertarianism—Hayek does not begin his analysis with a condemnation of the “tyranny” of tradition and custom. Rather, “tradition” receives strong praise from Hayek, who regards the vibrancy and strength of traditional practices to be essential to a healthy and functioning society. No society can long subsist without inherited moral frameworks. Only the prevalence of a great number of habits permit people to make long-term plans with the assumption of relative stability between present and future. “A successful free society will almost always be a tradition-bound society,” he argues. Hayek contrasts two understandings of liberty, one of which leads him to endorse the role of tradition. One understanding of liberty comes down through the British and Scottish tradition, and includes thinkers like Adam Smith, David Hume, Adam Ferguson, and Edmund Burke. The other is the French tradition inspired by the thought of Descartes, Rousseau, Condorcet, and Comte. The former accepts freedom bounded by the practices of tradition, but thereby is generative of healthy progress. The latter seeks to “make men free” through the imposition of revolutionary reform, and hence generates forms of political tyranny in the name of freedom. According to Hayek, “British” freedom arose because of an embrace of organic and gradualist change that welled up from broadly-accepted changes amid the people. As developed in the British tradition, change and progress are generated through trial and error, adaptation, evolutionary and cumulative growth. “Tradition” is just another way of saying “practices that people and society develop over time,” the form that “spontaneous order” takes when it is allowed to develop organically and nonhierarchically. By contrast, Hayek condemns “French” liberty that engages in deracinated, abstract “rationalism.” Such purported efforts to advance liberty are the result of prideful and overweening belief in the ability of a few people to “design” social reform, and to impose it upon a people in spite of their particular situation or native inclination for change. 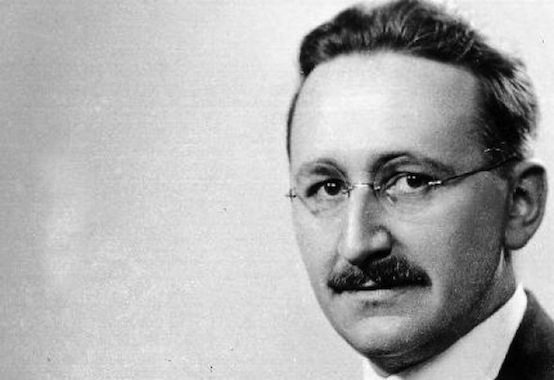 Hayek’s “tradition” was thus defended for the end of progress and change—indeed, change that he argued ought to be considerably more rapid and transformative than his arguments in defense of tradition would initially seem to suggest. Progress is the inevitable result of unpredictable developments that are the product of the inquiring and innovating human mind. It can’t be said in advance whether any experiment or idea will turn out well, but Hayek has faith in the human capacity always to turn potentially baleful developments into unexpected forms of progress. As such, his arguments are not “traditional,” hewing closely to ways of ancestors: “It is not the fruits of past success but the living in and for the future in which human intelligence proves itself.” Change has no particular object but change: “progress is movement for movement’s sake” (95). That said, Hayek is aware that a society that is in fact no longer “traditional”—relatively stable and very slowly-changing—in fact demands not only change, but rapid change as a matter of social necessity. Absent stability, the only option is rapid progress. This is because a changing society will foster relatively high degrees of inequality, and thus, potentially destabilizing dissatisfaction. Only rapid progress can ensure that the greater inequality of dynamic societies is acceptable to those who are “left behind.” “Progress at such a fast rate cannot proceed on a uniform front but must take place in echelon fashion, with some far ahead of the rest.” If such inequality is allowed to become stabilized, political and social dislocation is the likely result. As a matter of political exigency, Hayek argues, “in order that the great majority should in their individual lives participate in the advance, it is necessary that it proceed at a considerable speed” (96; emphasis mine). **Our course now takes a week hiatus for Spring Break; we will begin the second half of the course on Conservatism, starting with Natural Rights Conservatism and selections from Leo Strauss, beginning the week of March 23rd. The problem with a society having Zero binding traditions that are always acknowledged as worth keeping on principle, of course, is that there are Zero binding traditions to keep such a society from overconsuming a necessary but finite resource if it is not abundantly clear to be both necessary and finite. The total deforestation of a previously rainforested Easter Island, utterly collapsing the construction and food and naval capacity of that society, is perhaps the most vivid historical example. Ancient Easter Island was a tropical paradise, with vibrant plant and animal resources available to anyone. Today, and for the better part of a millennium, it’s a denuded wasteland, with only small pockets of reintroduced flora slowly making a glacial-speed comeback. With no binding tradition that the Forest (or the coral reef, or the aquifer, or the river flow, or the coal-bearing mountaintops, or the fishery, or the oil reserve, or the soil nutrient levels, or the total supply of fauna) must be largely preserved, it is all too likely for a 100% free society to have no way to prevent such necessary (but non-voting) resources from being entirely consumed far past the point of civilizational collapse. Continued mass extinctions and the permanent implosions of various vital industries should be expected. If anything, the worship of Accelerating Progress for the sake of Accelerating Progress makes such overconsumption of necessary preconditions more and more likely as time goes on. “Progress” becomes an overexpanding locust swarm, wholly devouring every available field and thus dooming the swarm to mass starvation. The key point here is that tradition is not the opposite of progress, but is rather a necessary component of progress. A healthy society is one which is changing and evolving in response to changing circumstances (both internal and external). A healthy set of traditions will moderate and help direct that change, but change will still happen. By contrast, the cornerstone of American conservatism as it exists today is that “tradition” is written in stone and no change of any kind can be permitted. Thus, the insistence that the Constitution means exactly what an 18th century agrarian society understood it to mean, nothing more and nothing less, despite the fact that the world no longer has any resemblance whatsoever to that 18th century world. Perhaps there’s good cause why Conservatives are fonder of “nobility”, and Libertarians less so. The best argument for monarchy/aristocracy I have seen. The counterargument, of course, is that it was the status hunger of the tribal aristocracy of Easter Island that systematically drove the overconsumption of resources (used to erect increasingly-larger moai religious monuments conferring status and prestige). Corporate “aristocrats” without meaningful limits drive a huge number of our modern resource-overexploitation problems, as well. Whenever they encounter an actual limit on something that would make money, they hire mercenaries and distribute bribes and corrupt politicians and run ads and otherwise try to buy access to what should not be for sale. I’m not averse to the arguments for ceremonial monarchy (or, more secularly, a long-term ceremonial “president” separate from the Head of Government), with sharp constitutional limits. Keeping a symbolic focal point of national unity separate from (and unsoiled by) the muck of political bickering would far better serve the institutional purpose of moral suasion and taking the long view. Darth: Exactly right. The “Tragedy of the Commons” has always been brought about by the aristocracy, not the peasants.